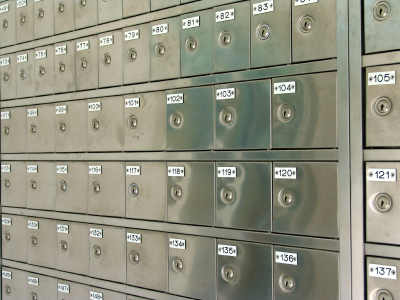 Landmark Credit Union's Fairfield and Pell City locations have safe deposit boxes available for our members. Safe Deposit Boxes offer security against theft of valuables and important paperwork. You can have the added peace of mind knowing that your documents are secured in a locked vault each night. You have access to you items during normal business hours. Box sizes range from 3" x 5" x 24" to 10" x 10" x 24" for the smallest to the largest items you may want to store. Boxes are rented on a yearly basis with the first year's rent paid at the time of the rental. You are billed in the anniversary month of each year following. Call us today and we will be glad to help you with the rental of a safe deposit box. Anyone opening a new checking or savings account at Landmark Credit Union with a minimun balance of $1,000.00 will qualify for a safe deposit box at a 50% discount for the first years rent. Just ask about the safe deposit box promotion when you open your account.